We recently blogged about how obesity has been linked to periodontal disease and new research has now been discovered that proves just that, but on the other side of the spectrum! 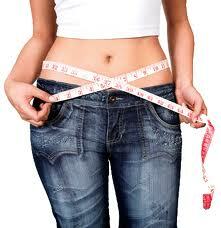 If obesity causes periodontitis, then weight loss can help relieve it! Researchers at Case Western Reserve University School of Dental Medicine found that because fat cells often trigger inflammation, they can cause inflammation in the gums as well. This is bad for periodontitis. But when those fat cells are removed through weight loss the inflammation is removed too! These finsings were made during a study of thirty one people who had gum disease who were obese. In the study one half of the patients were treated for their gum disease and had gastric bypass or other surgery to remove fat cells. The other half of the patients were also treated for their gum disease but they did not have any surgery to remove their fat cells or gastric bypass. The results also showed that those who had surgery had a loss of glucose after their surgeries, which may mean good news for those with weight related diabetes or insulin difficulties. Since both the control group and the surgery group underwent procedures to manage their periodontal disease and had instructions for at home periodontal disease care then both groups showed improvements in their periodontal disease. However the surgery group showed the greatest improvement in their gum disease, having less bleeding of gums, lower plaque levels, and did better in measures of periodontal attachment. Inflammation in the body is definitely something that should be cared for right away. Inflammation can cause serious long-term harm and gum disease inflammation can even erode the bone in teeth, causing tooth loss. The inflammation in gum disease can also cause open sores to form in the mouth, leaving patients vulnerable to oral bacteria entering the blood stream and making its way through the body. Having oral bacteria in the bloodstream can be particularly dangerous, especially since new research has recently found that it can cause heart disease when allowed to colonize in the heart. In addition to heart disease and heart attacks, oral bacteria have also been linked to fetal death, preterm birth, diabetes and arthritis. Nabil Bissada, chair of the department of periodontics at Case Western Reserve School of Dental Medicine, is the lead author of this study which is titled “Response to periodontal therapy in subjects who had weight loss following bariatric surgery and obese counterparts: a pilot study.” The study has been published in the Journal of Periodontology. Researchers have two hypotheses about why the group who had surgery improved their gum disease more than the control group. The researchers believe that the first cause may be that fat cells secrete hormones that make our bodies insulin resistant. Therefore the patients had more sugar in their blood when overweight and were becoming diabetic. Diabetics are more at risk for infections and have difficulty controlling infections once they occur, therefore the improvement may have been caused by the reduced susceptibility to infection due to lowered presence of diabetes and increased insulin functioning. The second hypothesis that the researchers had was that the hormone leptin, which regulates appetite, releases chemicals into the blood to regulate metabolism which have been linked to inflammation. Lead researcher Bissada said that the leptin production was reduced in the surgery group, which meant that inflammation was down. Researchers for this study are very excited about the new findings and hope to continue their research. They are now planning a more in depth study of this phenomenon in order to support these preliminary results. If you would like more information about gum disease please visit our contact us page or call 704-759-0908!